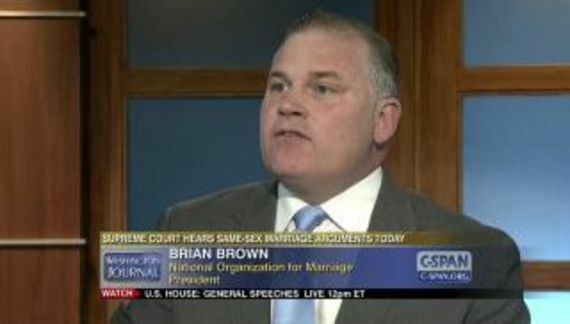 When marriage discrimination became a lost cause, Brian S. Brown should have found a new hobby. Help Us Stop This Radical Lesbian refers to Equal Employment Opportunity Commissioner Chai Feldblum. She has been confirmed twice already. Most recently in 2013 by a vote of 54-41. Now, given that she was renominated by Trump the margin is likely to be even greater. We believe that moral values matter in the governing of our polity. And we believe that Americans can articulate, and live up to, a more progressive set of moral values regarding sexuality, sexual orientation and gender equity. Sexuality can be a positive, important force in our lives. Heterosexuality, homosexuality and bisexuality are all morally neutral. But the love that is expressed by those who are straight, gay or bisexual is morally good – and all equally morally good. All forms of gender are morally neutral. But lack of gender equity is morally bad. Feldblum has long advocated for the supremacy of LGBT rights, especially when it comes to conflicts with Christians. Her views are so extreme that she's said that she could not imagine a situation where the constitutionally-guaranteed right of religious liberty would prevail in a legal case over the interests of gay or lesbian individuals. That is derived from a 2006 interview that Feldblum gave Maggie Gallagher for the Weekly Standard. Feldblum claims that she was misquoted and whenever the religious right quotes the piece they omit important context with three ellipses. There really is nothing terribly extreme about Chai Feldblum. But that's not the point. We did not budget for this fight, but it's just too important to ignore. We don't have any choice but to do everything possible to fight this nomination. Please help us defend the religious liberty rights of every American by making a generous financial contribution today. Thank you! So who's up for a book burning in California?